© Conservation International/photo by Haroldo Palo Jr. The 2014 FIFA World Cup starts today! On this occasion, we are celebrating some of the species that make Brazil so special. This species -- found only in Brazil -- is the mascot of the 2014 FIFA World Cup. 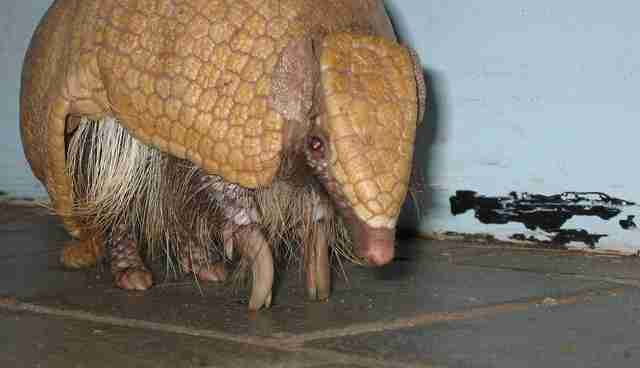 With its population continuing to decline, the three-banded armadillo is listed as Vulnerable according to the International Union for Conservation of Nature (IUCN) Red List. 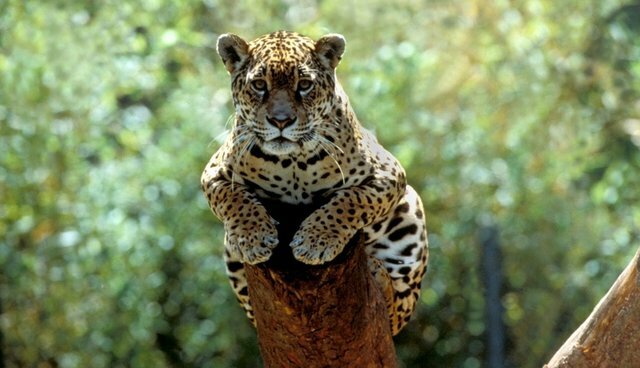 In fact, the species is believed to have declined by more than a third over the last 10 to 15 years due to a 50 percent loss of its habitat, dry shrubland called Caatinga in the Cerrado biodiversity hotspot. Conservationists in Brazil are bringing attention to the need to conserve the animal that inspired this year's World Cup mascot -- named Fuleco, which is a combination of the Portuguese words futebol (football) and ecologia (ecology). Learn more here. Much attention has been generated about the cause to save the three-banded armadillo, but many other species are in need of conservation action in Brazil. With support from the Critical Ecosystem Partnership Fund (CEPF), civil society organizations in the Atlantic Forest biodiversity hotspot -- which stretches along Brazil's Atlantic Coast -- improved the knowledge of an estimated 60 percent of the hotspot's species included on the international and national Red Lists of threatened species, developed by IUCN and the Brazilian Institute of Environment and Renewable Natural Resources (IBAMA). The Critically Endangered yellow-breasted capuchin -- one of the planet's 24 most endangered primates -- is found only in the east and central regions of Brazil. 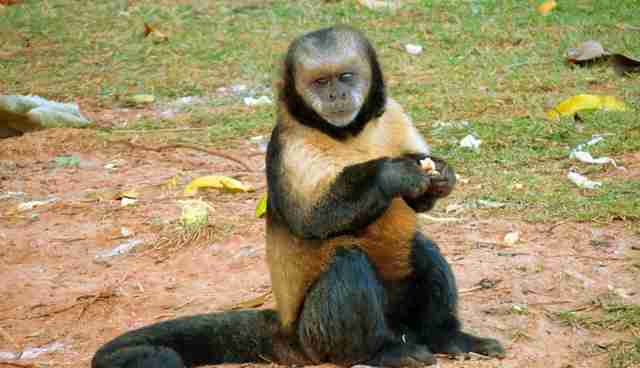 CEPF grantee Mülleriana: Sociedade Fritz Müller de Ciências Naturais contributed to the larger effort to save the yellow-breasted capuchin by developing a characterization of genetic differences of, and appropriate management plans for, the species. 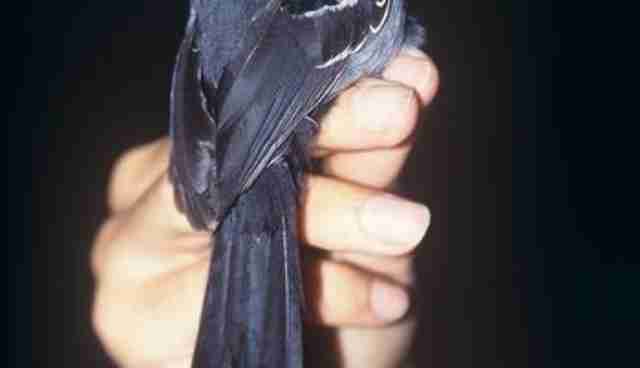 The Endangered slender antbird, a fairly large, grey antbird, lives in a small area of dry forest in Brazil. A large number of CEPF grantees were involved in a project to advocate for conservation of this species as well other threatened bird species in the Atlantic Forest Hotspot. This led to improved management of a network of areas where these species are located, considered by BirdLife International as Important Bird Areas. 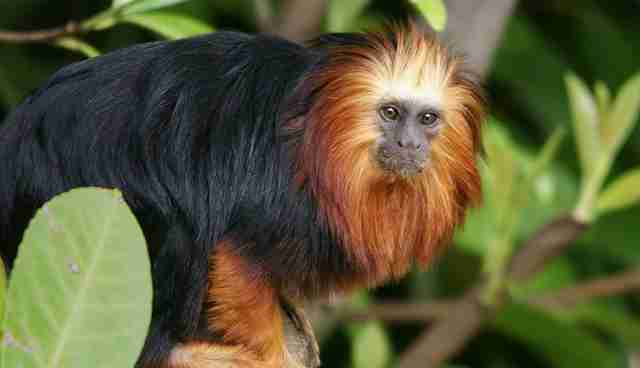 The Endangered golden-headed lion tamarin is found only in the east of Brazil, where just 2 to 5 percent of its original habitat remains. With support from CEPF, the Smithsonian Institute implemented a study of the forest fragments in the central biodiversity conservation corridor of the Atlantic Forest in an effort to develop a conservation action plan for the species. Although the Atlantic Forest biodiversity hotspot provides habitat for an astonishing number of endemic species (those found nowhere else) -- 8,000 endemic plant species, 55 endemic threatened birds, 21 endemic threatened mammals and 14 endemic threatened amphibians -- only 10 percent of the forest remains. As host nation to this year's World Cup, Brazil has the opportunity to link conservation and football by raising awareness now about its rich and highly threatened biodiversity and ecosystems, which are vital to human well-being. Help us spread the word!